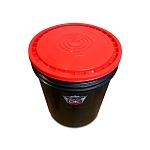 This one gallon auto detailing Wash Bucket is perfect to keep your sponge-on dressing stored in. You can also use this little bucket to store wax and dressing applicators, small detail brushes, and really anything that you need to keep secure and clean. 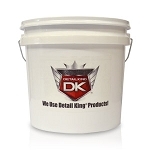 This 5 Gallon Wash Bucket for auto detailing is constructed of heavy-duty plastic that will last up again continuous use. 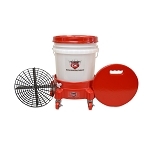 This wash bucket is great for wash-ups and interior cleaning. 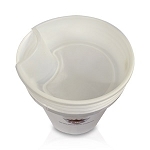 Also, this bucket has a metal handle for easy transport and will not bend, crack or easily leak. 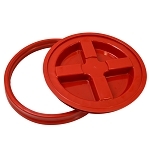 Our 5 Gallon Bucket Lid w/ Hole fit's perfectly on any plastic 5 gallon buckets. 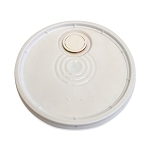 Use these lid's to dispense soaps and cleaners out of the hole, or hook up a 5 gallon pump to it! 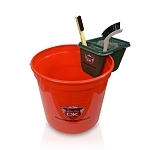 Our Detail King Car Washing Bucket Brush Tray fits directly on top of a 5 gallon bucket. Use this tray to keep your brushes, applicators, and sponges close by so you have quick access to them. Also, you can use the bucket brush tray to allow brushes and sponges to drip dry. This 2.5 gallon Car Wash Bucket & Storage Organizer comes in handy when doing specialized detailing and reconditioning services. 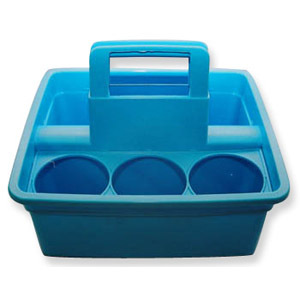 Store clay bars, scrapers, razor blades, bug sponges and more in the organizer while using the 2.5 gallon bucket for containing water or other solutions. 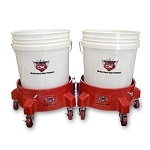 Our Double Wash Buckets can hold up to 19 quarts and includes a double compartment for separation of cleaning solutions and detailing accessories like brushes, mitts, chamois etc. Also, the handle provides for easy carrying. 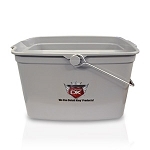 Our 6 gallon extra wide bucket is the Best Car Wash Bucket when washing larger vehicles and needing to use wide based truck wash brushes. 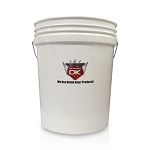 This bucket will fit brushes and tools up to 18" and is perfect for our 14" and 17.5" truck wash brushes. 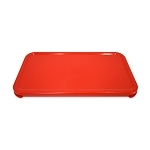 This lid for the 6 Gallon Extra Long Bucket (Red), will secure any contents which are in the bucket. 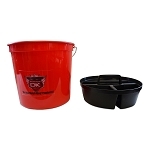 This Truck Wash Bucket kit comes with the necessary tools you will need to perform an exterior wash on trucks, RV's, boats, and other oversize vehicles. This Detailing Caddy can hold up to 6 quart bottles and is perfect for the auto detailer who is constantly on the move. 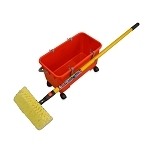 It can also be used to carry 3 quart bottles and other miscellaneous detailing items like our hydra sponge, detail brushes, steel wool and applicator pads. 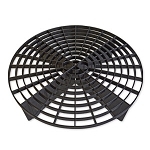 Place the Grit Guard Wash Bucket Insert in the bottom of any 12" diameter Bucket/Pail. 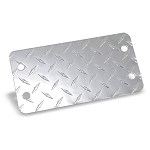 Simply rub your mitt or brush across the Grit Guard Insert while washing your vehicle, boat, motorcycle, RV. 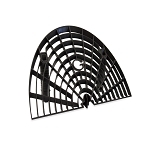 Use this Bucket Grit Guard Combo to minimize swirls and marring in your paint during the wash up stage. 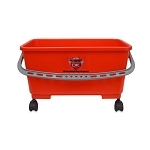 No wash bucket is complete without the Grit Guard Double Bucket Dolly! The dolly accommodates any 3.5 - 7 gallon round bucket and has 5 heavy-duty casters capable of supporting up to 250 pounds. 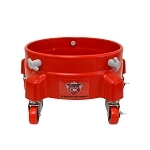 The dolly makes your wash bucket mobile so you can easily roll it around a vehicle as you wash it. 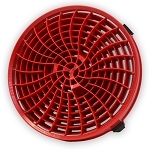 Our Grit Guard Dual Bucket Washing System makes washing your vehicle safer and simpler. You get all the Grit Guard accessories and more to keep your wash water free of dirt and paint-scratching particles, leaving you with the perfect wash. 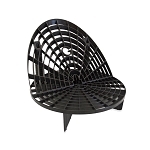 This Grit Guard Washing System features the Grit Guard Insert in a heavy duty 90 mil bucket with reinforced shoulders. The patented Gamma Seal Lid makes the washing system a leak-proof, airtight container and a 5 caster bucket dolly makes this system easy to roll on any paved surface. 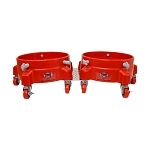 The Grit Guard Diamond Plate Dolly Connector connects your two bucket dollies to make detailing more convenient. Now you can roll two buckets with you around the vehicle as you work, saving you time and effort. 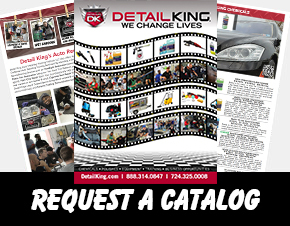 Detail King features an awesome selection of Grit Guard car wash buckets, Grit Guard Inserts, truck wash brush extra-long buckets, auto detailing carts, rolling detailing seats, stools and Grit Guard Bucket Dollies. Be sure to check out our Grit Guard Car Washing System w/Gamma Seal and Dolly! These items play an important role assisting the detailer to save time and help make the detail job go smoother, quicker and easier. Grit Guard Inserts will help keep the dirt and grit off your car wash mitt. Our double bucket dollies come in handy when detailing over-sized vehicles like boats, RV’s and limousines. 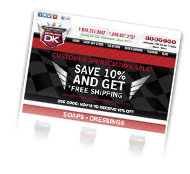 Many professional auto detailers use a two bucket system where as one bucket is set-up for the rinsing of the scrub brushes while the second bucket is strictly for the car wash shampoo and car wash mitts.